Why are Annual Skin Checks Important? | Blog | Miami Skin Dr.
Home › Blog › Why are Annual Skin Checks Important? Annual skin checks are a facet of maintaining our health that is often overlooked. 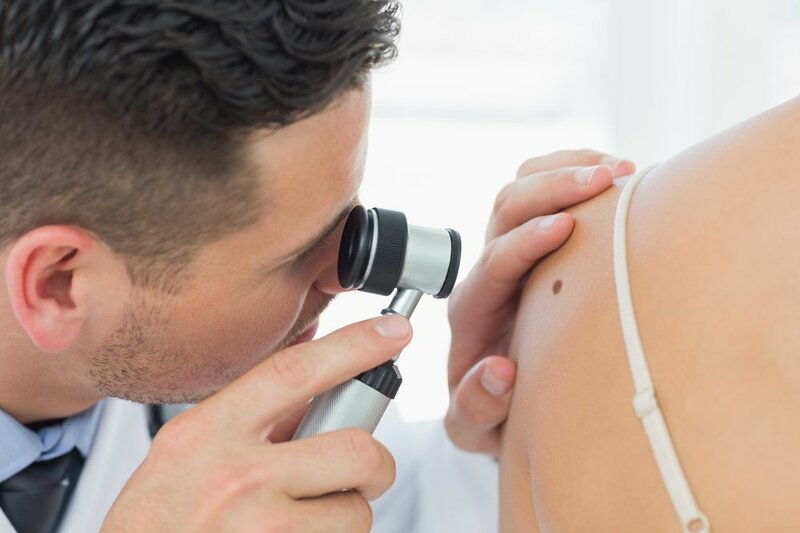 Skin cancer can sometimes be a tricky disease to detect in its early stages; but, as with most diseases, early detection is can be crucial. There are a number of risk factors that can be more easily mitigated with annual skin checkups. Your annual checkups with your doctor may already include a skin check. If they don’t, you should ask your doctor about including skin checkups at your next visit, or schedule a visit to a skin care specialist. Annual skin screenings can help save you time & money down the road, and possibly your life. It is important that you are receiving an annual skin screening from your board-certified dermatologist. Why Should I Get an Annual Skin Screening? As we mentioned earlier, a dermatologist skin check may save your life, especially when you consider the importance of early detection. A dermatologist skin check will include a full body skin exam that covers the entirety of the outer layer of your skin, even the lesser visible places. Self-check ups can be important too; but a full body skin exam performed by a licensed practitioner is the best way to ensure that you have a clean bill of epidermal health each year. It’s very advantageous to have an objective and professional third party, who knows all the warning signs, give you a second opinion on any concerns you may have. They can oftentimes spot things that you may not. What is an Annual Skin Screening? A.) Asymmetry: Benign moles should be symmetrical. If you have a mole that is not symmetrical, it could potentially be skin cancer. B.) Border: An irregularly shaped border around the edges of a spot may also be cause for concern. C.) Color Variation: Does the mole have patches of different colors such as red, white or blue? These may be red flags. D.) Diameter: Watch out for spots that have a larger diameter than a normal-sized pencil eraser. E.) Evolving: Has the spot/mole/birthmark changed in any way recently or since you first noticed it? If so, it could potentially be cancerous. An annual dermatologist skin check will be much more thorough, however. Your skin specialist will give you a full body examination from head to toe, and cover the more “hidden” areas of your skin. An annual skin checkup should include examinations: between the toes, on the scalp, inside the ears, behind the ears, under fingernails, between the glutes, on the backs of your legs, and beneath all hair (especially thicker hair). It is important that a board-certified skin doctor examine you not only annually, but in the event you discover any spots on your skin that could potentially be malignant. Early detection is always a priority when it comes to your health, and your skin is definitely not an exception to that rule. This is why annual checkups with a board-certified dermatologist are the minimum recommended care suggested in the prevention of skin cancer. Call to make an appointment in Doral, Miami Beach, or Aventura at 305.615.2440 or click here today to find out more!